Serving Our Seniors Since 1987. Peoples Retirement Community is located in a quiet residential neighborhood in an established area centered in Tacoma, Washington. We have convenient access to shopping, medical facilities and area churches. Specializing in Independent Living, Assisted Living and Memory Care for senior citizens. The Dorchester House offers a beautiful independent living facility in the exclusive coastal community of Lincoln City, Oregon. The property boasts a physical plant in sound condition. The well-manicured landscaping, unit mix and plentiful common areas also enhance the viability of The Dorchester House. Surrounded by a vibrant community, there is plenty to do for all ages to enjoy their time here. Maple Creek, located in Lakewood, Washington, is close to shopping, medical and community social facilities. Life at Maple Creek is like living at home with meals, housekeeping and maintenance provided. Our residents enjoy their own private apartments furnished with their own treasured belongings. The dining room, featuring restaurant-style dining is a gathering place for pleasant conversation and delicious home-cooked meals. 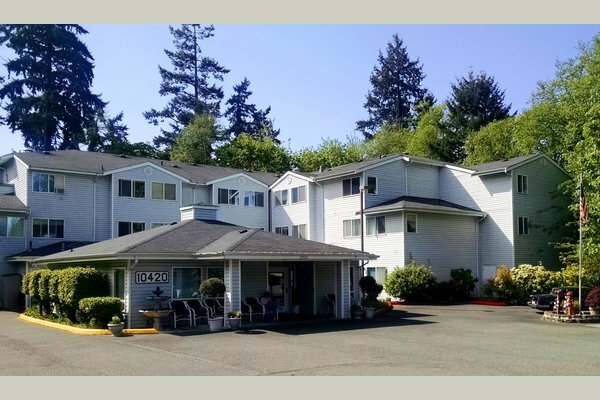 Elderberry Square Residential Care Community is located just off highway 101 on the beautiful Oregon Coast. Situated in picturesque Florence, Elderberry Square is close to shopping, medical and community Social Facilities. Life at Elderberry is like living at home with meals, housekeeping and maintenance provided. Our residents enjoy their own private studio rooms, furnished with their treasured belongings. The dining room, featuring restaurant- style dining, is a gathering place for pleasant conversation and delicious home cooked meals.